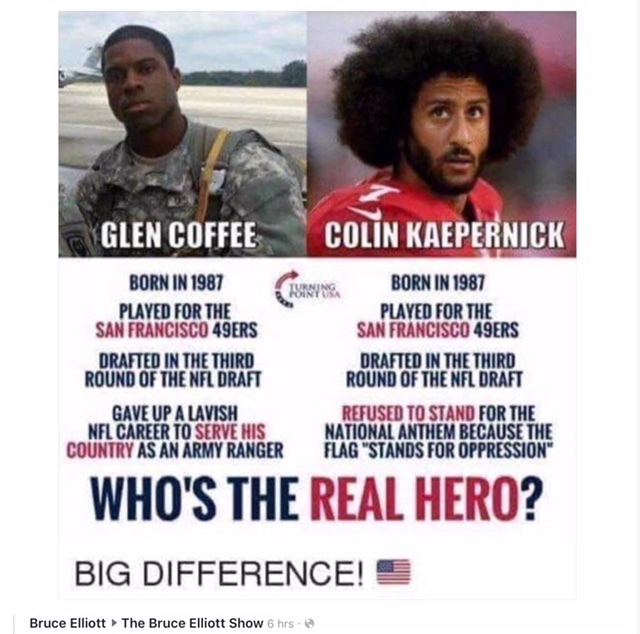 Glen Coffee? He not "authentically" black. He jus' actin' white. He not be down wit da bruthas in da hood. He probly don't even own any Nikes. Sheeeet, da muhfuh probly don't even have no po-lice record.